Rev. Hugh R. Moore, M.A. It came to pass . 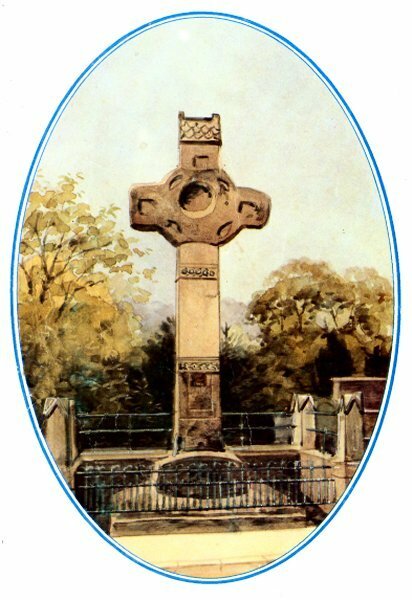 . .
On the 11th October 1836 a deputation of people from the town waited on the Session Synod requesting that services should be held in the town of Dromore. 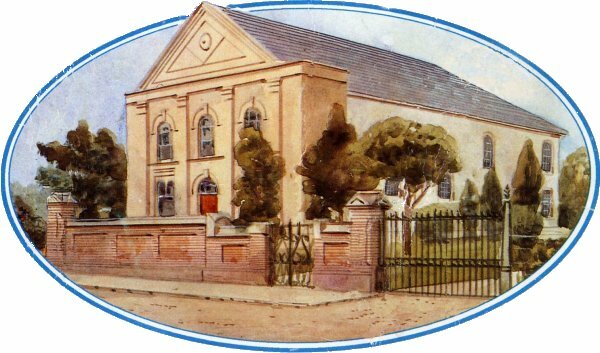 By 1841 a church had been built. On the 7th of March 1843 the first minister was Ordained and Installed. Mr. Andrew Doloughan not only for correcting the proofs, but also for his advice and all his useful suggestions The Dromore Leader for the use of their files. The Rev. Lena Baxter, B.L.S., B.D., and her sister and brother for the use of materials and pictures from the Illuminated Address presented to their great-grandfather, the Rev. James Rentoul in 1915. Also those members of the Church Committee who acted in an advisory capacity, Mrs. H. McDonald, Miss M. Coulter, Dr. R. McNeice, Messrs. J. Walker, W. Spratt, W. Wilson, and C. Thompson. Their help was valuable and appreciated. Men for the Ministry . I. B .R . A. This story, for it is that, rather than a history, has been written in view of the fact that the congregation will be celebrating its 150th anniversary, perhaps in the near future, or at the latest in March 1993, 150 years after the first minister was ordained. It is for the most part a distillation of Presbytery records, the minutes of Session and Committee, minutes of organizations, as well as newspaper accounts, and the memories of those who were actually `there'. I have tried to be accurate, and to verify oral tradition where it has been used. Where there are inaccuracies, sources not acknowledged, important events or people omitted, I apologise - you will forgive me. The phrase often used by writers, the `dignity of history', may have its critics, but reading and researching material for this story has brought home to me the dedication of the ministers and the sacrifices of the members who gave of their time and money that the Kingdom of God might be extended through their church - Dignity is there. Ralph Emerson once said that the use of history is to give value to the present hour and duty; so I ask you to read this story thoughtfully that it may help you to be more earnest in your service of the Christian Cause and one hopes the future of Banbridge Road will be worthy of its past. It has been my privilege to gather this material and write this story. I shall cheerfully bear the reproach of having failed to do justice to Banbridge Road, its ministers and its people.